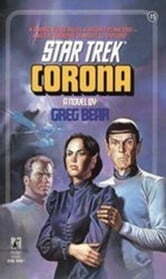 An awesome, sentinent force of protostars -- Corona -- has taken control of a stranded team of Vulcan scientists. The U.S.S Enterprise has come on a rescue mission, with a female reporter and a new computer that can override Kirk's command. Suddenly, the rescuers must save themselves and the entire Universe -- before Corona unleashes a Big Bang!